As the name sug­gests, Inside Africa is a small café/eatery that is African themed. 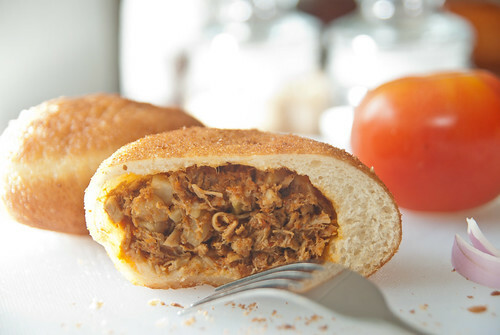 Not intend­ed to be a full meal, the snack of Braai Brood­jie and Vetkoek with a scoop of ice-cream on top of a hot steamy mini dough­nut to boot. Did I men­tion that there is a free flow­ing of cof­fee to boost that cof­fee high that you are crav­ing for? It was a sim­ple snack, almost sta­ple to the South Africans.